The snow has melted and Finland emerges once more with a spring in its step. For spring/summer 2010, Finland has a lot to celebrate with a new high speed train soon to be launched between Helsinki and St Petersburg, a range of exciting music festivals throughout the summer months and 65 years of the legendary Moomin novels. What’s more, Helsinki has earned the status of World Design Capital for 2012 and the first ever World Rowing Masters using traditional Finnish churchboats is soon to take place in Sulkava located in south east Finland. For Brits keen to join in with the celebrations, newly established flight routes from London, Manchester and Edinburgh to Helsinki and Tampere provide the perfect excuse to escape for a few days and discover some of what Finland has to offer. 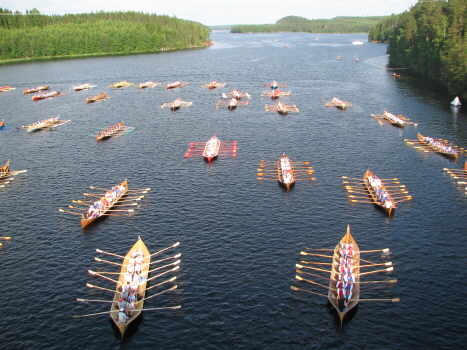 From 8th to 11th July 2010, the first ever World Masters Rowing Competition using distinctive Finnish churchboats will take place in Sulkava in Finland south east. 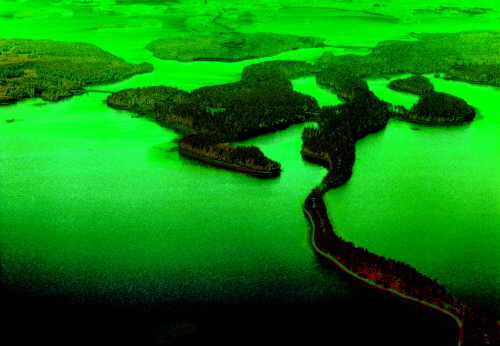 The competition which is open to national and international club teams will be held on Lake Saimaa, the largest of Finland’s almost 200,000 lakes. The event is the first of its kind and will take place alongside the annual Sulkava Rowing Race which already attracts 8,000 participants per year. During the Rowing Masters, there will be two events: The first is a short race of 2,000 metres and the second, a long race of 60 kilometres around Partala Island, the largest island in Lake Saimaa. Participants will use traditional Finnish 12-metre wooden churchboats, which have sliding benches and 14 oars. Churchboats are long rowing boats which the Finns once used to travel to holy mass on Sundays and are now sometimes referred to as Sulkava boats or Viking boats. Each crew consists of 14 rowers (male and/or female) and a coxswain. Between races teams can enjoy the region’s beautiful surroundings and relax their muscles with a traditional Finnish sauna. For further information or to register a team (before 30th April 2010) click here. Marathon fever is upon us and for those who have put in the training for the London Marathon, by August the muscles will have relaxed and the body recovered ready to take on another challenge. The Helsinki City Marathon takes place on Saturday 14th August and is the biggest running event in Finland and the second biggest of all the Nordic countries. The route is well known for being one of the most beautiful in the world and almost half of the race runs alongside the Baltic coastline providing runners with a welcome sea breeze. 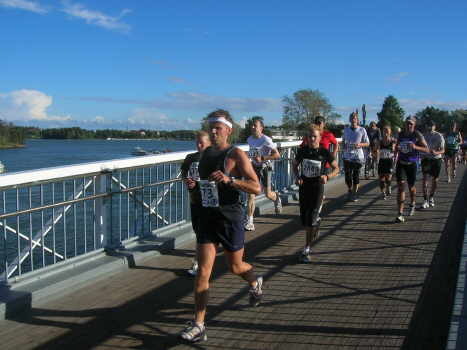 As well as the stunning coastline, runners will pass through leafy parks and will have the chance to absorb some of the quirky architecture that helped Helsinki earn its recent status as World Design Capital for 2012. The Olympic Stadium, Finlandia Hall, Parliament, Nokia House and Kaivopuisto Park are all located along the marathon route so for first-time visitors, the marathon is a great way to see the highlights of Finland’s compact capital. For more information or to register click here. This well established Kuhmo Chamber Festival will take place from 11th to 24th July in the small Parish town of Kuhmo not far from the Finnish-Russian border. Over 150 musicians, film makers, dancers, actors and poets will gather together to play a part in the two week event which this year will include Kaija Saariaho, Krzysztof Penderecki, Sebastian Fagerlund, Viktor Ullman, Carlo Gesualdo and Louis Armstrong. For 2010, as well as three full operas, starting with Benjamin Britten’s The Little Sweep to kick off the festival, the event will also see two music premieres including the string sextet Pine Tree Dreaming by Matthew Whittall to be premiered on 12th July, and the Trio for clarinet, cello and piano entitled Three poems from the Afterworld by Jouko Tötterström showing on 17th July. Kuhmo is located 100km east of Kajaani which is well served by Finnair. Flights from London Heathrow to Kajaani (via Helsinki) are currently priced from £226.39 departing and returning in July. Festival lovers looking to escape the rain and mud soaked crowds of UK gigs can head to Pori in Western Finland to the renowned Pori Jazz Festival taking place from 17th – 25th July. Pori Jazz is great for families as it runs a special kid’s festival which holds over 90 musical workshops, master classes, music playschools and concerts for kids of all ages. The Pori Jazz Kids Festival is a real success story with over 17,000 visitors last summer and over 1,700 children performing under guidance of professional musicians and tutors. Access to all concerts and workshops is free. This year the legendary Jeff Beck is headlining. Return flights from London Heathrow to Pori via Helsinki with Finnair in July cost from £180.80 including taxes, fees and an online booking fee. Return flights from Manchester to Pori via Helsinki in July cost from £200.50 including taxes, fees and an online booking fee. For indie music lovers, the Flow Festival takes place in Helsinki from 13th to 15th August and offers an eclectic mix of national and international musicians. For 2010, the line up is yet to be announced but 2009 welcomed the Jamaican-born superstar Grace Jones who is still going strong nearly four decades into her career, the chart-topping Indie-pop sensation White Lies, Swedish artist Jenny Wilson and the American experimental hip-hop producer Flying Lotus amongst others. Festival goers will also get the chance to see some of the up-and-coming Finnish talent well-known for their electronic fusions and experimental styles. Ideally located close to Market Square, Esplanade Park and Kaivopuisto Park in Helsinki’s city centre, the new four-star Hotel Fabian will provide an ideal base for both business and leisure travellers to the Finnish capital. 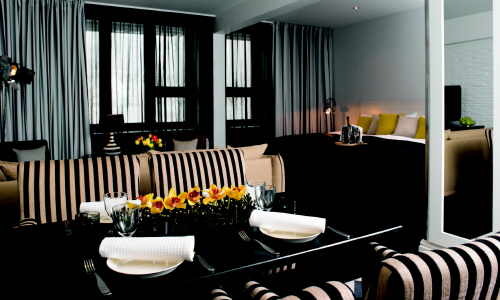 Hotel Fabian will offer loft-style rooms with large windows providing panoramic views over the city. In addition eight of the 58 rooms will offer “extended stay” accommodation, fitted with their own kitchenettes. Russian-owned shipping company, St Peter Line is to start operating a regular ferry route between Helsinki and St Petersburg allowing guests the opportunity to combine both cities without the need for a Russian visa. The company’s ferry, Princess Maria, will offer the service five times a week and expects to carry as many as 500,000 passengers per year. Cruise tourists can stay in Russia for up to three days without a visa which up to now has restricted those hoping to combine Helsinki with St Petersburg. The first of the high-speed Allegro Trains ordered for the service between Helsinki and St Petersburg has arrived in Finland from the Alstom factory in Italy and track trials have now begun. When the high-speed Allegro trains enter service, they will cut the journey time between Helsinki and St Petersburg to three and a half hours; a considerable improvement on the current service which takes almost six hours. 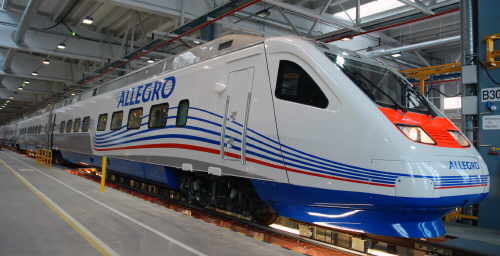 The Allegro trains are scheduled to replace the Sibelius and Repin trains that currently operate between St Petersburg and Helsinki at the end of 2010. Combine the coastal capitals of Helsinki, Stockholm and Tallinn on the new and exciting city and cruise programme created by the collaboration of Tallink Silja, Blue1 and SAS to offer a new type of package which includes comfortable flights, an exciting three stop city holiday and an unforgettable Baltic cruise on board one of the luxurious Silja Line ships. Fly conveniently from any city in Europe where there is a Blue1 or SAS connection available to Helsinki or Stockholm and discover the unique identity of the Scandinavian archipelago whist relaxing onboard one of the elegant Tallink Silja Ships. The latest edition of the Michelin Red Guide to the main cities of Europe now includes five Michelin starred Helsinki restaurants. Chez Dominique preserved its two-star reputation as “worth a detour” for the quality of its dining, while Carma, Demo, and Postres all held on to their earlier one-star rating. The newcomer to the 2010 list was Luomo, an innovative “molecular gastronomy” establishment in Kruunuhaka which only opened for business in May 2009. Luomo’s chef de cuisine is Jouni Toivanen, who owns the restaurant with Mika Mattila and a third minority shareholder. This year celebrates 65 years of Moomins which were created in 1945 with the first story entitled “The little trolls and the great Flood” by Tove Jansson. Since then the Moomin novels have become translated into more than 40 languages and are loved by children and adults around the globe. 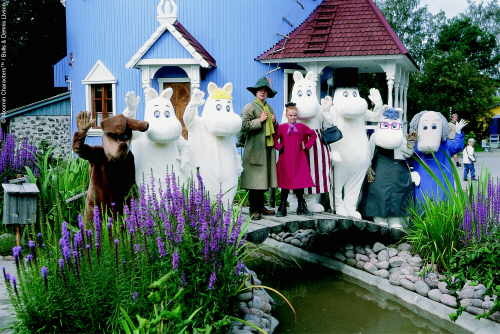 Visitors to Finland can meet the Moomin family at Moominworld, a theme park for children and families located in Naantali on the southwest coast of Finland. For those left inspired to visit Finland this summer, Visit Finland together with the UK flight operators continue to upgrade their tourism services for UK visitors with three additional flights departing from Edinburgh to Tampere, Manchester to Helsinki and London Heathrow to Helsinki. EasyJet’s new flight route from Manchester to Helsinki operates four times a week on Sundays, Mondays, Wednesdays and Fridays from the 28th March 2010 and is priced from £19.99 each way. 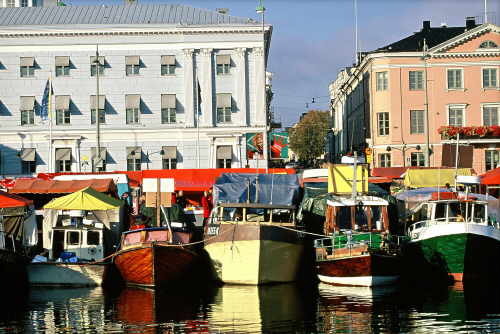 For summer 2010, Blue1 has added a second daily service from London Heathrow to Helsinki starting from 28th April. 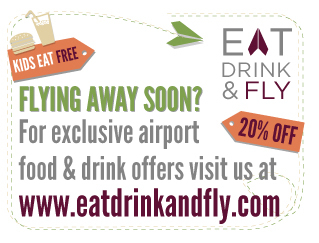 Return flights are priced from £70 excluding taxes.